Bright ideas need the right platform! 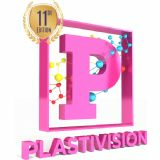 Plastivision was conceptualised in mid 80's by All India Plastic Manufacturer Association (AIPMA) with a singular vision to create a common platform for all the participants in the plastics industry ?manufacturers, dealers, buyers and end-users. With its first show in 1986 it has a glorious history of 30 years of success where it has journeyed to become the biggest plastics show in India. It is held every 3 years and has the distinction of being a UFI approved exhibition. The exhibition today has become the platform for companies to launch new products, grow their network within and outside the industry, learn new technologies and exchange ideas on a global level. Such is the influence of the show that today it is ranked amongst the top 10 plastic industry events globally. Plastivision India is organized by All India Plastic Manufacturer's Association (AIPMA), the largest non-profit apex body working towards welfare of the plastic industry. The event has a glorious history that dates back to 1992. Its huge success has helped it rank among of the top 10 plastic industry events globally. Plastivision India is the only trade fair exhibition from the plastic industry approved by UFI (the premier Paris-based exhibition authority).